Whether looking for a place to relax, enjoy the sea and sun, or just want to see and do as much as possible, or just have fun, Naxos is the place for you. 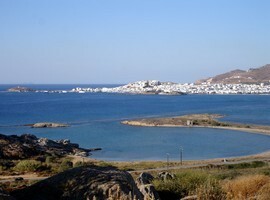 Naxos is generally a green island, the largest of the Cycladic islands and very different from the neighboring islands. 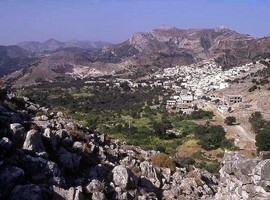 The uniqueness of Naxos is due to the varied landscape. 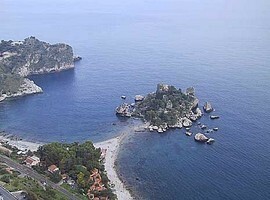 It is an island with mountains, valleys and verdant plains, rivers and springs, caves and sandy beaches. It is one of the most popular islands for local and foreign tourists and thus has a good tourist infrastructure. 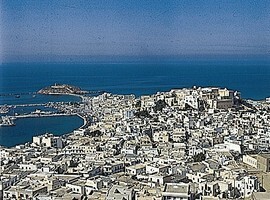 However, the island has not lost its beauty from tourism, because the main tourist market only focuses on Naxos (Chora) and the surrounding area. For accommodation you can choose from luxury hotels or staying at a village where the pace is slow and calm. 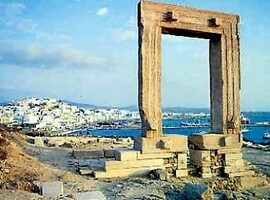 The most prominent landmark of Naxos is the big gate just outside the town. 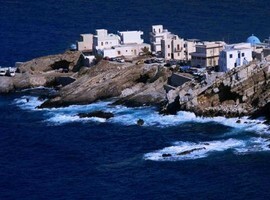 The locals call it Portara, and it is the most photographed place on the island. The gate was built in the 6th century BC by order of the tyrant Legdamos.It was going to become a temple of the god Apollo, but was abandoned when the war broke out between Naxos and Samos. Later, the Christians built a church on top of the incomplete ancient temple. The best time to go to Portara is in the afternoon where you will have the opportunity to see a fantastic sunset. 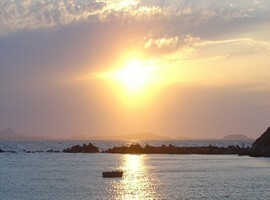 You can also see Paros Island from there. The marble of the temple was also used for the construction of the Castle in Chora. The castle dominates the old city and all the small streets leading. 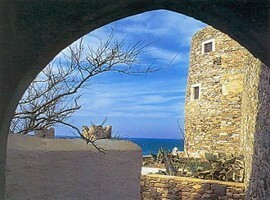 The Archaeological Museum of Naxos is also worth visiting. It is located in the commercial school used by Catholic monks as a Catholic school. Apart from all the places worth visiting, there are various water sports at the beaches. If you like fishing, you will find that you are not alone there. A good also idea is to go on a tour of the neighboring islands. 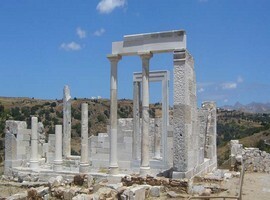 A trip to Delos is definitely a must for people interested in history and archeology, as it is covered with ancient ruins. 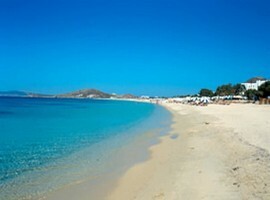 Naxos is the ideal place for a beach holiday too. 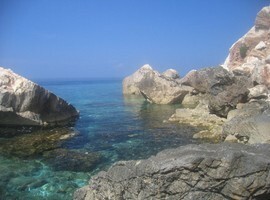 Many believe it has the best beaches in Greece. 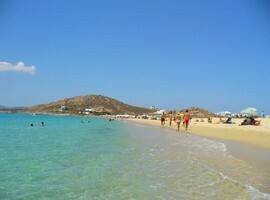 Among the most popular beaches of Naxos are those of St. Anne, St. George and St. Prokopios. 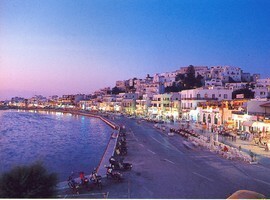 There is also a beach at the central town, Chora, if you do not want to leave the town. The south coast is the most calm, so if the weather is windy that is the best place to go. Most beaches are connected by good streets, except those of far North and South. 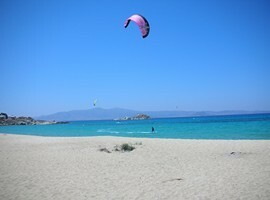 Those who love windsurfing will prefer the beach of Mikri Vigla or Azalea. For families with children, best recommended is the Sahara Beach, which also has a variety of water sports. Kastraki beach is great for picnics. 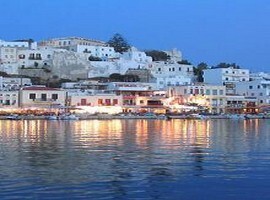 Naxos’ nightlife is quite varied, bars and clubs playing Greek or foreign music. Most parties are held in the country, but during high season, the St. Ann area is very popular. 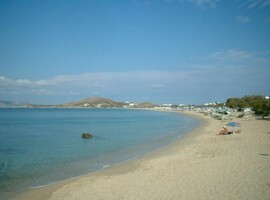 You will also find many Beach parties organized at the various beaches of Naxos. Most bars and cafes can be found in the Chora town. Frequent Naxos ferries depart from Piraeus throughout the summer months. The route from Piraeus is approximately 6 hours or 3-4 hours on high speed. 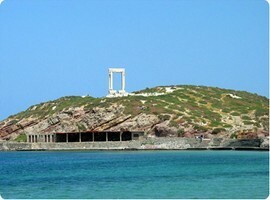 The hydrofoils and catamarans take you to Naxos from Piraeus in about 4 hours. 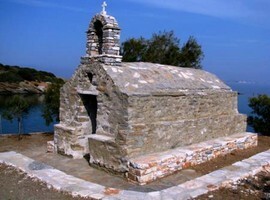 There is also a small airport with daily flights from Athens, Crete and Santorini. The flight from Athens usually takes about 30 minutes.